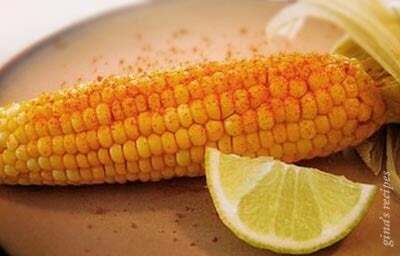 Corn on the Cob with Chile and Lime is a quick and easy side dish, with a little bit of heat! 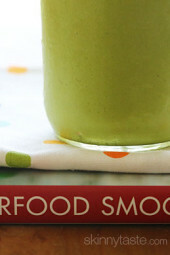 Inspired by Mexican street corn, this is lime-y with a kick! The corn cooks right in their husks in the microwave, doesn’t get easier or quicker than that! Leave the corn in the husk, this creates steam cooking the corn evenly. Rest the ears a few minutes after cooking before husking. When cool enough to handle peel and remove the silks. For just 1 or 2 ears of corn, microwave on high for 3 minutes. For 3 or 4 ears, microwave for 4 minutes. For a softer corn, add an additional minute. Microwave corn, in their husks, for 3 to 4 minutes. Let it rest until it’s cool enough to handle, about 5 minutes. Remove the husks and corn silk. Lightly rub each corn with a little butter. 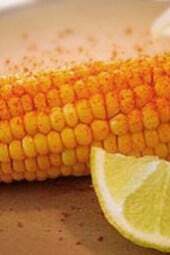 Squeeze lime juice over the corn and sprinkle with chili seasoning. Is this really 4 Freestyle points per serving? It seems the only item with points is the butter? I think they would only be 1 point per serving. I can't eat corn any other way! This is my new favorite! sooo good! Similar to Elotes, one of our favorite summer sides. 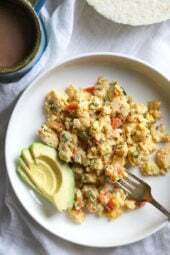 Instead of butter on the corn, you use either Mexican Crema or, bare with me here, mayonnaise. Then you top with chili powder, sprinkle on some cotija cheese and squeeze lime over it. If you're somewhat conservative with the mayo & cheese, it's still very WW friendly. And, I know mayo on corn sounds disgusting, but I've never served this to anyone that didn't like it! Could I substitute the butter with Olive Oil? Oh who knew they make something like this in Pakistan! 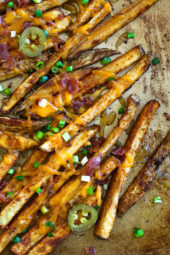 Gina – I am obessed with your recipes!!! This actually reminds me of a recipe from Pakistan that we have all the time – only we don't use butter. Instead we mix salt and cayenne, then dip a lime wedge in the mix and rub it on the corn. It's heavenly!! Oh, Gina… this sounds so good! I can’t wait to have fresh sweet corn to give this a try. thanx for the comments, btw i like corn too. Honestly my grandma plants corn on her farms, then i’ll try this too hehehe.